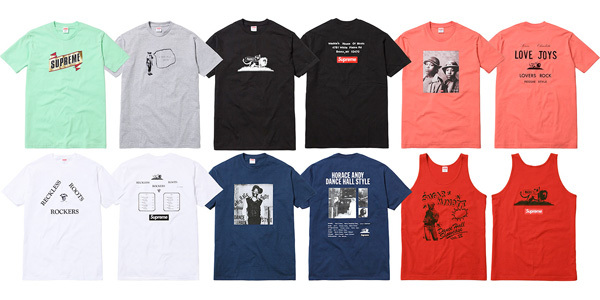 HOME > Fashion > Supreme collaborates with Wackies. I just learned via Shimmy Shimmy that Supreme has joined forces with the legendary New York reggae studio/label Wackies to present a small capusule collection consisting of four graphic T-Shirts, a Tank Top, and a 5-Panel Hat. The stuff will be available in-store in NY, LA, London and online on upcoming Thursday, June 6th and on June 8th in Japan.